It is no secret in my house that my kids are OBSESSED with Frozen (if the Olaf Valentines didn't give that away). 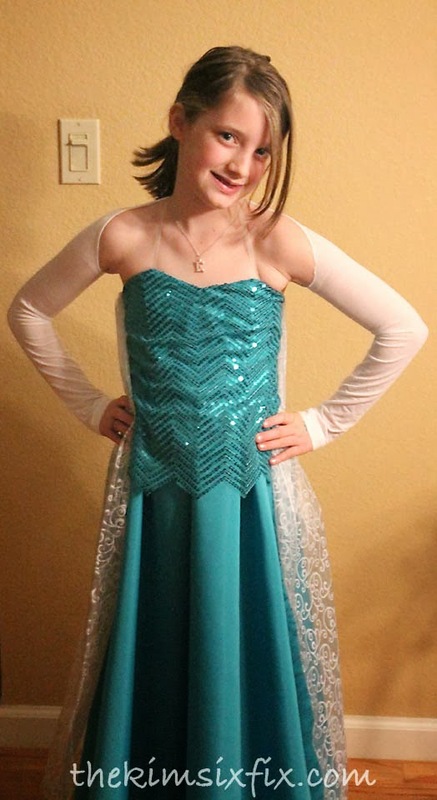 So for "Dress like a Disney character" day at school, my 8 year old was adamant that she get to be Elsa in her "Let it Go" dress. 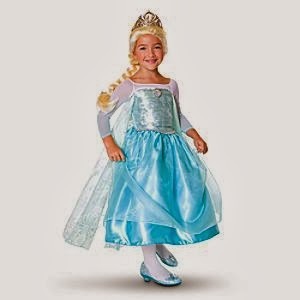 Disney does make a commerical Elsa costume, but good luck getting your hands on one! They have been sold out for a while. The next best thing? Make one myself. Since there isn't a commercial pattern available anywhere yet, I knew I would have to modify a traditional dress to get the same look. I wanted it to have a seperate bodic (since that part would need to have sequins), a sweetheart neckline and a simple floor length skirt. 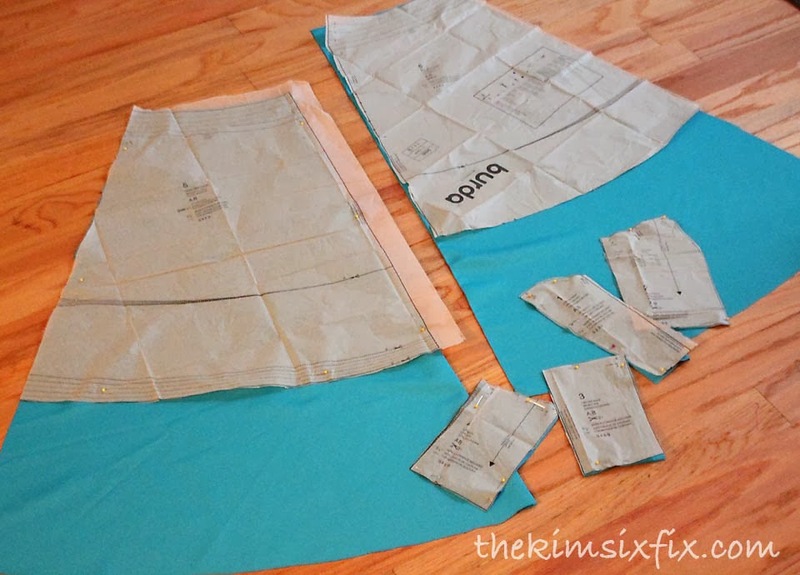 The neckline was perfect and so was the shape of the skirt.. it DID need to be longer, but that would be easy. For the skirt, I layed out the patten and just added about 12 inches to the bottom continuing the shape of the A-line. 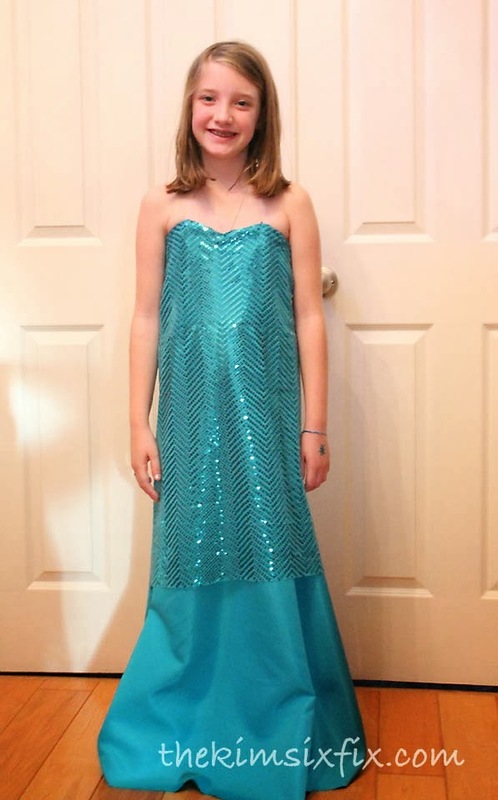 I then attached the skirt and added the sequins by pinning the tulle over the top of the bodice. 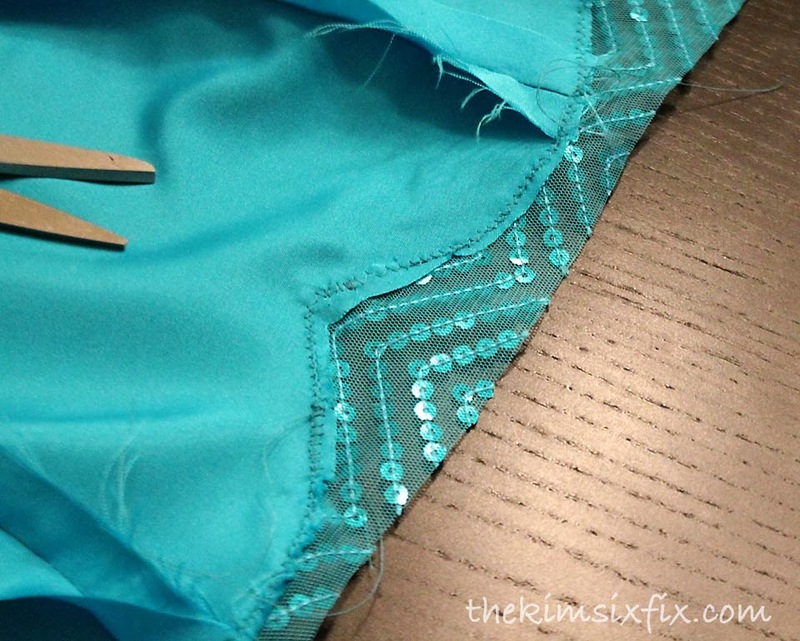 I attached them the tulle to the bodice using a zig zag stitch along the neckline. I then finished the bodice by adding the facing, which also covered up the seam line where the tulle was attached. Next I needed to tackle the sheer sleeves and train. 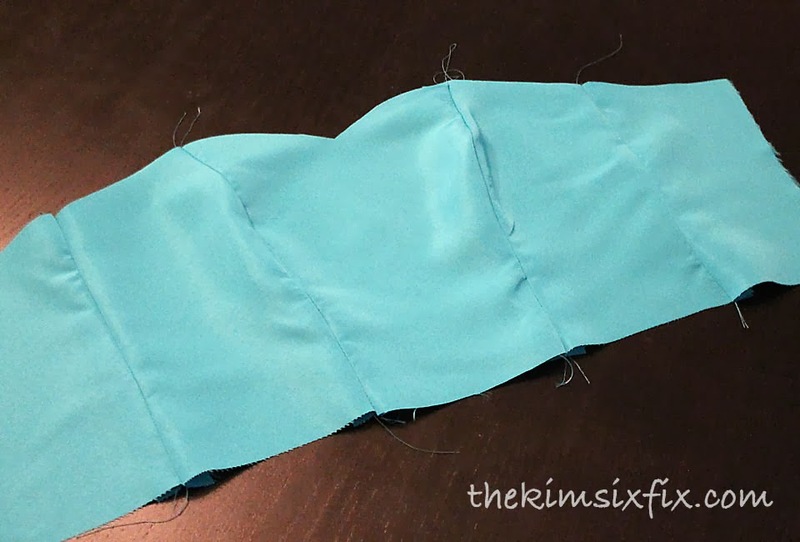 Because I don't have a serger, I didn't want to deal with sewing any sheer stretchy nylon. Instead I decided to buy a pair of footless tights to use as sleeves. I would have preferred to attach the cape higher on the neckline, but the thinness of the tights made that impossible. Thanks Christy! She really *was* excited! Kim!! That is absolutely incredible!! 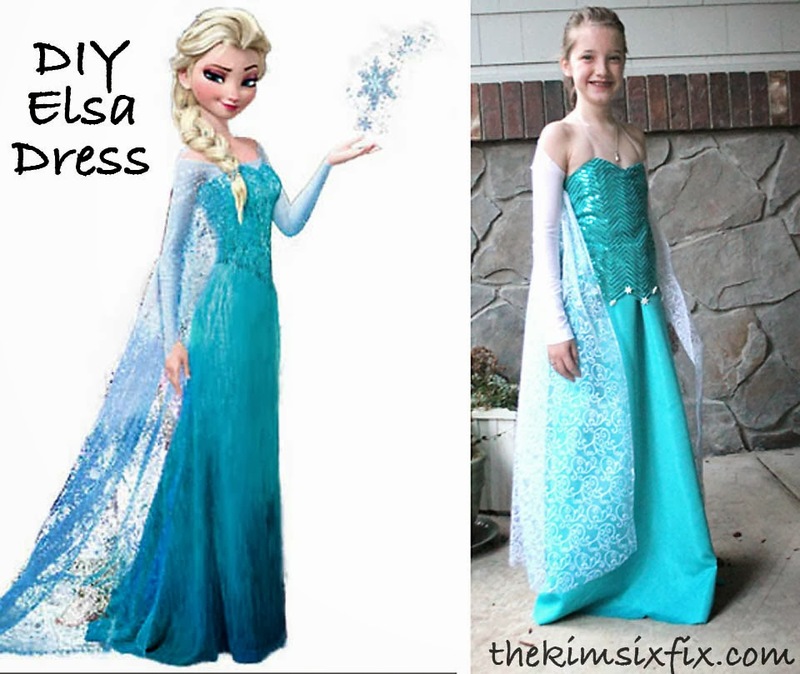 Fabulous sewing job, and what a fun childhood memory for your daughter too - to know her mom cared enough to make the dress from scratch, so she could go as her favorite character. 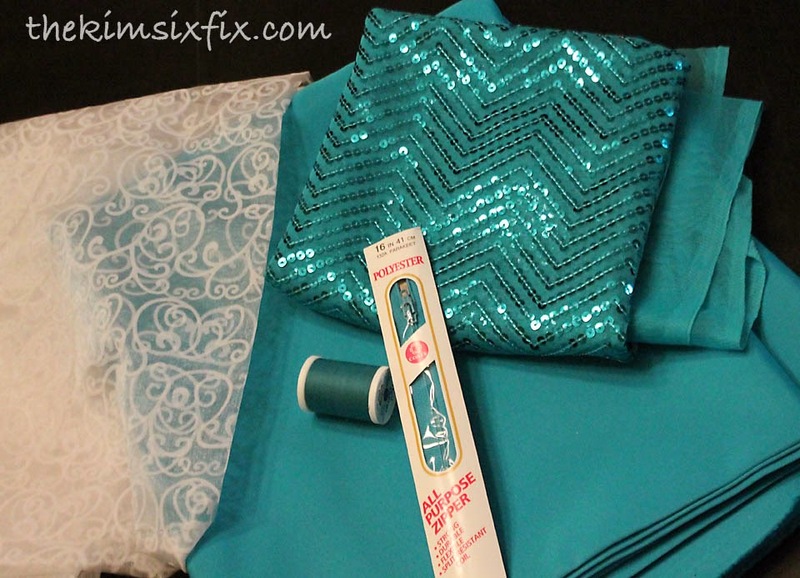 Sewing anything with sequins gets you extra brownie points. Shudder. It looks fabulous! 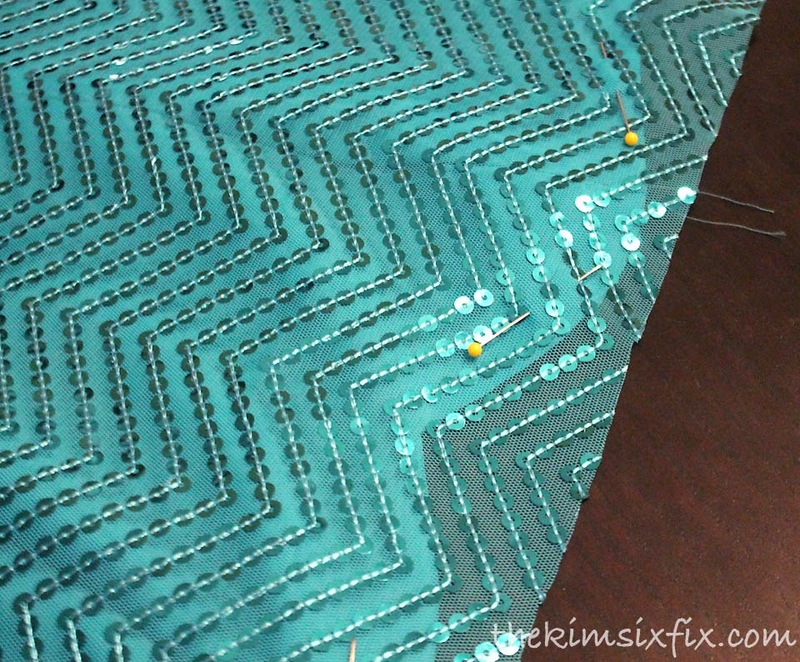 I'm still finding teenie slivers of blue sequins in the sofa cushions. Cutting that stuff is like throwing glitter in the air! I hope she loves sewing when she gets bigger. I learned it from my mom. I see glimpses of interest, but she is still pretty young! how pretty is this! Nice Work! My niece is obsessed with Frozen. She is only 3 1/2. I would be endeared to her forever if I made her this dress. I could even add her monogram. That is a fantastic idea! I love it. Where did you buy the sequined tulle? I cannot find it. It was from JoAnn's Fabrics in the Costume/Bridal department! I really love this dress! You have great ideas. 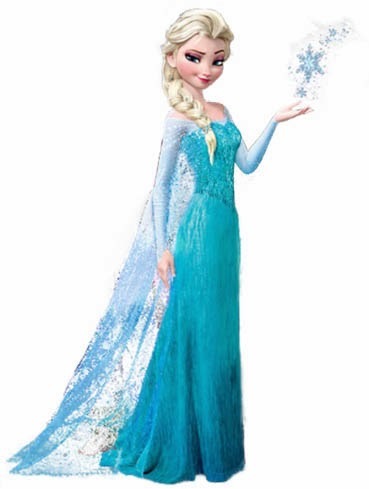 I think the cape turned out great and it is very representative of Elsa's cape in the movie. It comes from the top of the bodice just like yours. I like that you gathered the cape at the top and made it fuller. I've seen other DIY sites where the cape was just made the width of the top of the bodice and I think those are too flimsy. 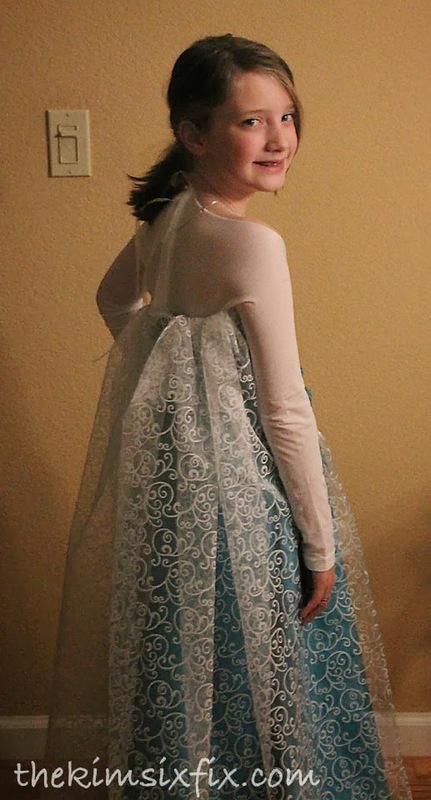 I made the costume based on yours, but for the sleeves I used stretchy bridal lace. It's really easy to edge out and it's beautiful. Could you give more details how you attached the cape to the tights. I understand the cape is a separate piece from the dress. The cape is actually attached to the back of the dress and the “shrug” part of the tights is separate. 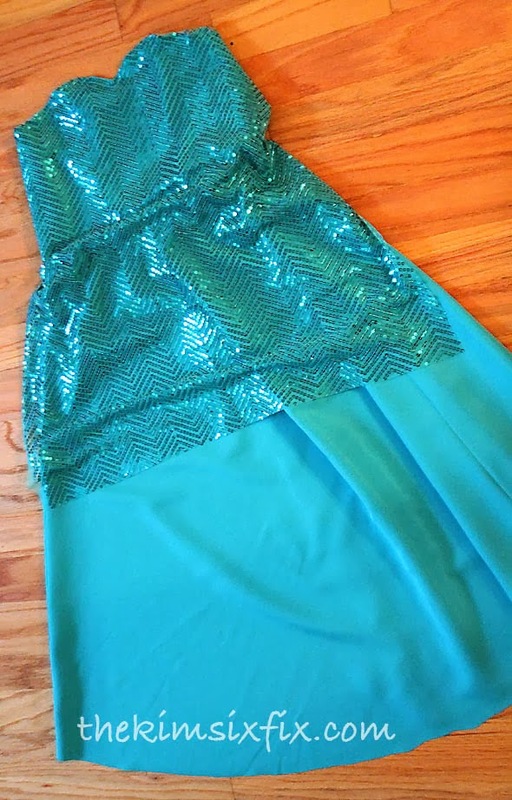 I sewed the tule in “upside down and backwards” to the inside of the dress so when you flip it over it sorta cascades over the back (and you don’t see the sewing line) There is just no way I could sew the tule to the delicate fabric of the nylon. I used velcro on the large seam down the spine to keep the tights up agasint the dress so it looks attached and then just tucked the rest of the nylons in. If it still isn’t I can go find the dress and take some more photos when she isn’t wearing it. Yeah, it isn't really a 'cape' if it doesnt' open wide with her arms like in the movie. The lace idea for the sleeves is really good!